Sol Kadhi is a drink from Goa and Konkan region of Maharashtra. It is made with kokum extract and coconut milk to which a little tempering is added. Sometimes it is also made plain without the addition of coconut milk.This is usually taken after eating spicy food as it cools down the digestive system. Kokam is an excellent antidote for acidity problems. It can be had with plain rice as well. Our group Shhhhh Cooking Secretly decided to go for Goan Cuisine this month. I was paired with Kriti Singhal Agrawal who blogs at - Krispy Kadhai .. Do check out her space for yummy recipes. Coriander leaves .. for garnishing. 1. Soak the kokums in warm water for few hours. 2. Crush them with hand nicely. 3. Strain the water in a bowl and set aside discarding the kokums. 4. Take the garlic and chilli paste in a strainer and pour some liquid over it and press with the spoon to extract the flavours. 6. Crush the cumin seeds lightly or use whole if you like. 7. Heat a tsp of oil and add the whole or crushed cumin seeds and curry leaves. When they crackle stir them into the kadhi. Garnish with coriander leaves. Sol Kadhi is actually my husbands favourite drink. When we go to dine out specifically Maharashtrian or Malvani Thali, he often orders this as it has digestive properties which is essential after a heavy meal. I on the other hand, happily sip on aam panha as I dont like the garlic and the coconut milk combo but I love Kokam Sharbet. Haha.. strange tastes. Great post Shobhaji. I tasted it for the first time and it was quite good. You can skip the garlic part if you don't like..
Never tried this dish. I like adding kokum to dahl so Iam sure this will taste great.love the colour of the kadhi. Love your serving dishes too. Thanks Mina.. we also add kokums to dal and Sindhi kadhi usually.. The serving dishes are from USA .. bought them on my last trip. 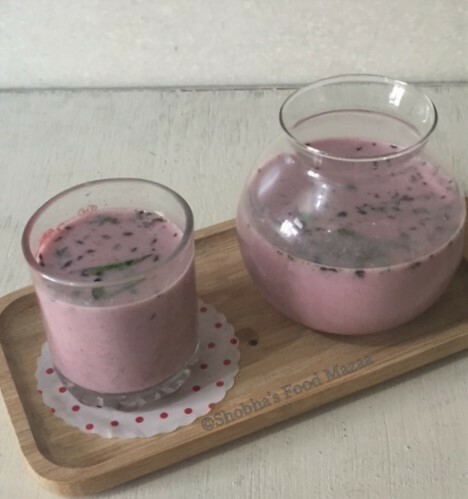 What an interesting recipe, I love the colour from the kokum that the coconut milk has taken. I have all these ingredients so hope to try this soon. I wanted to try this since a long time.. finally I did it for our group event. 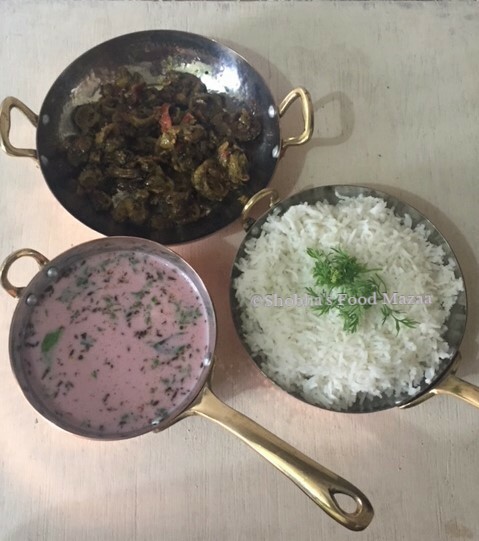 Thanks for liking and do give it a try..
Oh this Kadhi makes me fall in love with the beautiful colour, no doubt this must taste delicious shoba ji.. Yes Sujitha.. it really tasted nice and tangy with light flavour of garlic and chilli paste that was infused in the kadhi. I just love Sol Kadhi and this looks so amazingly delicious to me! 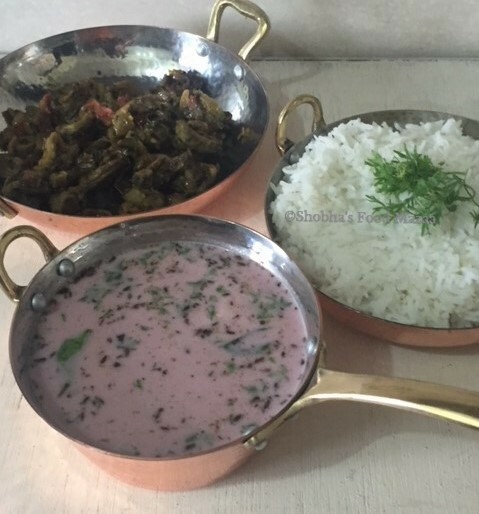 I have heard a lot about this Kadhi,but have not tried it yet.Your Kadhi looks so delicious and i would to love try that. Same here.. finally I made it and it was yummy .. Thanks Aruna.. I still have to try Kokum Sharbat.. maybe soon. Thanks Priya.. it really tastes good. Though its a quite famous recipe, I haven't taste and tried it in my kitchen. The colour of Sol Kadhi is so appetizing ! Shhobha! Such a lovely colour.. Looks very inviting. love the colour the drink has ... should try this when i get some kokum. Thanks Seema.. I am sure you will like it. Yummy after my rice and curry I can sit with one glass of the kadi as we call it n relax. I have heard of this dish but never gave it a try.. this looks very appetising .. will surely try. I only heard about sol kadhi after I started blogging, yet have not tried it. Such a wonderful drink to have after full spicy Indian dinner. I must try one day. 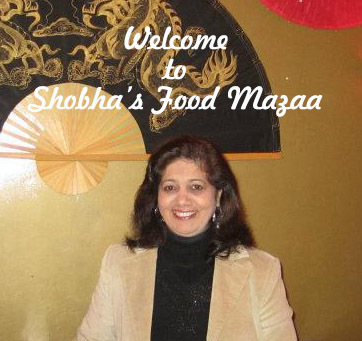 It's so simple and tasty appetizer..
An absolute favorite in our home, Shobha! I've not tasted sol kadhi but have heard about it. Will definitely love to try this drink as it looks very tempting. Love the colour and didn't know that kokum is good for acidity. I made it for the first time too Mayuri.. you will love it I am sure. Amazing isn't it, how the not very good looking kokum can produce this colourful and refreshing drink! I haven't tasted sol kadhi with garlic earlier and now should try it out! It really tasted good with garlic flavour infused into it. Love sold kadhi to the core, especially during summers.. lovely share !